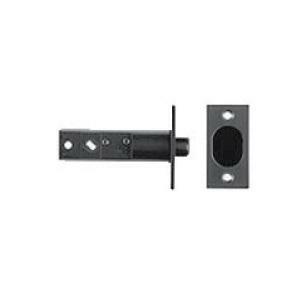 LockeyUSA Magnetic Latch Bolt for 1150 Only - 2 3/8"
LockeyUSA Magnetic Latchbolt is equipped with a strong magnet that provides maximum security on heavy doors and gates in high traffic areas. The latchbolt mechanism is normally retracted inside the lock until the door is closed, and the latchbolt is lined up with the strike plate in the door frame. Once everything lines up, the attraction between the two magnets pulls the latch bolt out of the door and into the strike plate box which latches and locks the door.